When The market is open every day, but tends to be a little quieter on Sundays with some shops not open. What to buy Llama foetuses certainly aren’t everyone’s cup of tea… (plus, we don’t even know if you’d get them through airport customs! ), so an alternative way to embrace the local culture is to get a coca tea leaf reading. Or you could stick to the more traditional souvenirs such as alpaca wool jumpers. Make it happen We recommend going with a guide who can translate, as many of the locals won’t speak English, plus they’ll be able to give you a bit more information about the various customs of the “witches” and uses for the spells and charms. 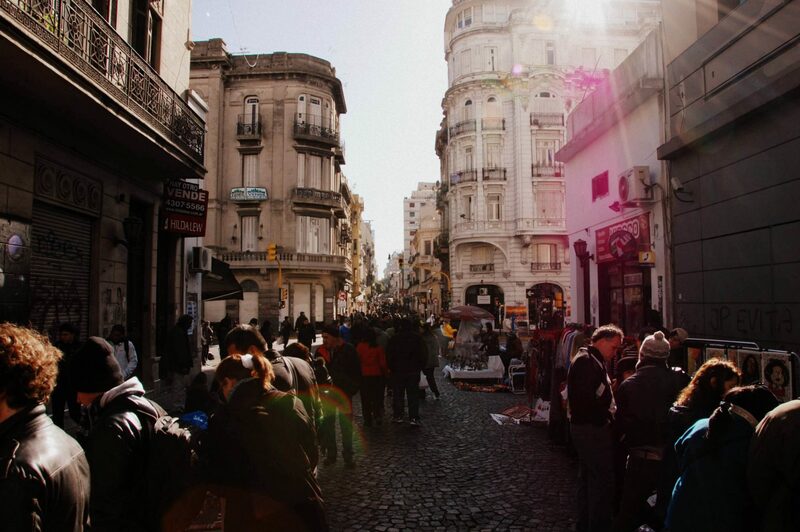 Once a week the trendy neighbourhood of San Telmo comes to life, centred around the Plaza Dorrego, the heart of the cities favourite antiques market. The area is littered with antiques shops, which spill out into the street, as well stalls selling second-hand gear and handmade clothing. There are also plenty of street performers around, so make a day of it and enjoy lunch at one of the many cafes, whilst being entertained by a tango dancer or two. When The antiques market is open every Sunday during the day, depending on weather. What to buy The market is one of those places where you’ll find loads of hidden gems, such as weird and wacky antiques, and upcycled furniture. Apart from overspending, the main risk here is buying more than you can fit in your suitcase! Make it happen Either walk from Plaza de Mayo or get a subway, unless you’re staying in San Telmo itself, which we highly recommend. 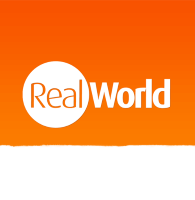 One of the oldest and most well-known markets in South America is Otavalo, near Quito. 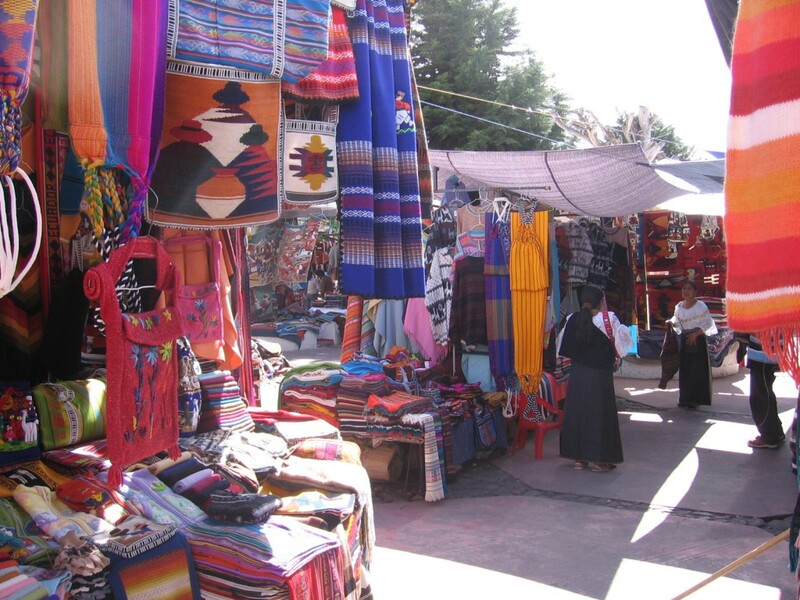 Markets have been taking place in the Andean area since before the Incas, and every year Otavalo seems to grow and grow in popularity. When Every Saturday, but get there early to beat the crowds and explore the animal markets. What to buy Typical brightly coloured textiles and woollen clothing are popular, but there is a lot of cheap imported souvenirs from China as well, so make sure you are supporting the economy by buying locally made products. Make it happen Otavalo is a couple of hours outside Quito, so either set off early or arrive the night before to make the most of your visit. In between the port and the old town of Montevideo is another of the oldest and best markets in South America. 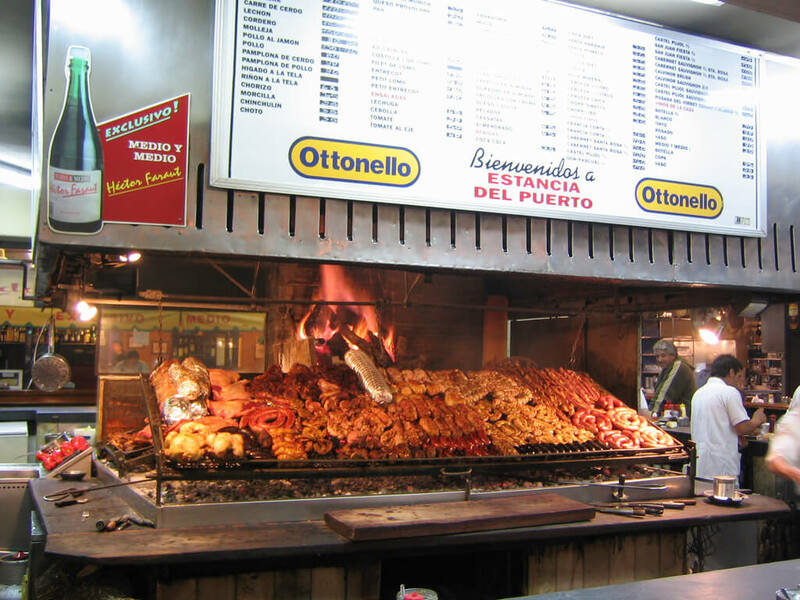 It has become somewhat of a tradition for locals to have lunch at one of the food stands on Saturdays, and hence they lovingly refer to it as “the meat market”. The atmosphere is great and so is the range of goods for sale, so spend a few hours browsing the stalls and people watching outside the nearby cafes. When The market is open weekday afternoons, but the weekends, especially Saturday, have the most stalls and the best atmosphere. What to buy Delicious local meats are the highlight for most visitors, as is coffee from the vans, but the leather goods also make for a good purchase. Make it happen The market is conveniently located in the centre of Montevideo, but you can also visit it from Buenos Aires via ferry. Pisac is a typical Peruvian village in the Sacred Valley, about an hour’s drive outside of Cusco. 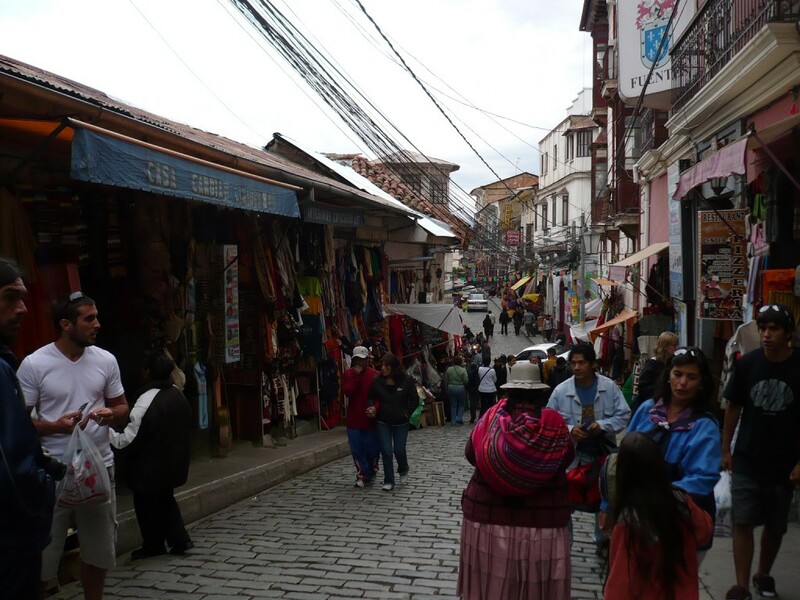 The town is very picturesque and is best known for its Inca ruins, however its weekly market is one of the most popular in Peru, and draws hundreds of visitors to the area every week. When The main market is every Sunday, and the smaller market takes place on Tuesdays and Thursdays. However every day of the week there are stalls and shops selling local handicrafts. What to buy The area is known for its ceramics, so handcrafted bowls and painted beads are good souvenirs. You can also buy traditional Peruvian textiles and locally grown fruit and veg. 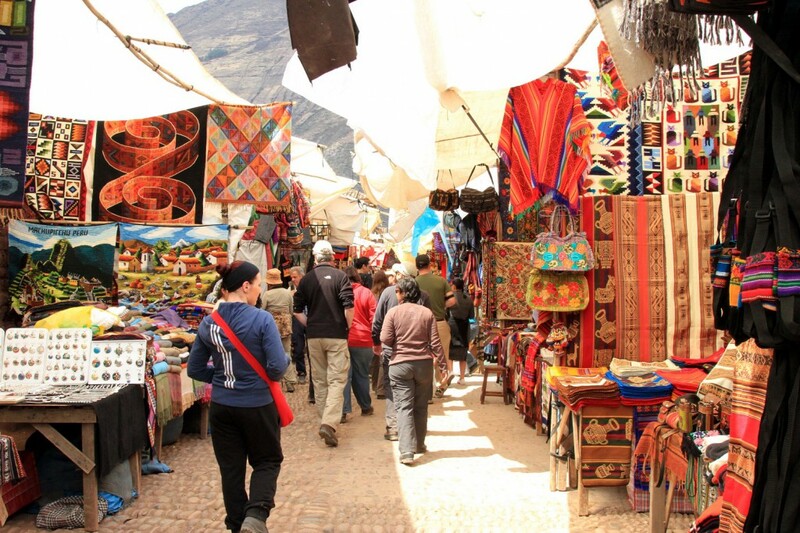 Make it happen We recommend visiting the market as part of a longer tour of the Sacred Valley, as a couple of hours is more than enough time to browse the stalls and explore the town. Set up by a group of hippies back in the ‘60s, this popular Ipanema market is a great example of the laidback, fun atmosphere of Brazil. Most of the stalls have an arts and crafts theme, selling everything from paintings and ceramics to handmade jewellery and bright clothing. When The market takes place every Sunday during the day. What to buy Haggle hard and you could bag yourself a couple of nice paintings by local artists. There are so many smaller gift-type things to buy that you’ll probably end up spending more than you intend to. Of course, it’s also a great place to buy a traditional Brazilian bikini, if you’re daring enough! Make it happen After a morning sunbathing on Copacabana or Ipanema beach, have a wander to the Praça General Osório square, a couple of blocks off the boulevard, for some retail therapy. You’ll find that almost every big city has some kind of market, so you certainly won’t struggle to find a range of souvenirs and locally made goods, but what are the best gifts to buy in South America…?